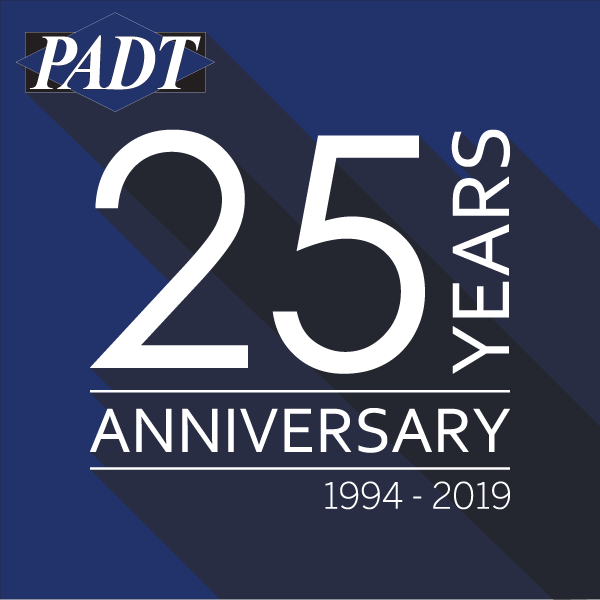 TEMPE, Ariz. - March 7, 2019 - PRLog -- The employees and owners of PADT, a globally recognized provider of numerical simulation, product development, and 3D printing products and services, are proud to announce that today marks their twenty-fifth year in business. In 1994, a group of engineers working at a large Aerospace company decided to try the entrepreneurial life and established Phoenix Analysis & Design Technologies, Inc. (PADT). After two-and-a-half decades, the company has grown from those humble beginnings to employ over ninety-five people located across six states. The original vision of the PADT co-founders was to take the advanced computer-aided engineering tools that were changing how turbine engines were designed, and apply them to other industries. These tools, known today as numerical simulation, comprehensive product development, and 3D Printing, became the foundation of PADT's business, and have only increased in sophistication and use. "A key to our long-term success has been our close relationship with ANSYS, Inc., the leader in engineering simulation software," said Ward Rand, co-founder, PADT. "As the size of ANSYS and the capabilities of its tools have grown, we've increased our customer base and the type of simulation we can deliver to help our customers drive their product designs." Today, PADT is an ANSYS Elite Channel Partner selling and supporting ANSYS products across the Southwestern U.S., and providing engineering simulation consulting worldwide. When PADT Co-Owner Mark Johnson joined the company several years in, he grew the original vision of product design to include comprehensive services for product development, including research and testing. The PADT family sadly lost Mark in 2015 to cancer, but the Product Development team he created continues to grow and thrive. PADT honors his memory by supporting a global customer base creating products from children's toys to medical devices and aerospace subsystems. PADT is perhaps best known locally as the leading regional provider of 3D Printing solutions, having earned the designation of being the oldest and largest 3D Printing service based in the Southwest. "When we bought our first stereolithography machine in 1994, we couldn't have imagined how widespread additive manufacturing would become," said Rey Chu, PADT co-founder. "We continue to offer greater options to our customers through the sale of systems and materials, while also providing 3D Printing as a service." Key to PADT's status as a leader in the rapidly growing area of 3D Printing is its partnership with the leading manufacturer of additive manufacturing systems, Stratasys and PADT' status as a Stratasys Platinum Channel partner in the four-corner region. For over a decade, PADT has also been the primary supplier of FDM soluble support removal solutions. The manufacturing department has also successfully teamed with overseas suppliers and partners to deliver millions of dollars in goods and services to customers. "When people ask us how we have thrived for so long, we have to step back and point to our employees," said Eric Miller, co-founder PADT. "Since the very beginning, their dedication to the vision of the company has been inspirational. PADT is a place where smart people like to come to work, largely because they get to take on challenging tasks for appreciative customers. It has been a true joy for all three of the company's owners to grow with everyone. The past twenty-five years have been an amazing journey, and the next twenty-five are full of potential." PADT is an engineering product and services company that focuses on helping customers who develop physical products by providing Numerical Simulation, Product Development, and 3D Printing solutions. 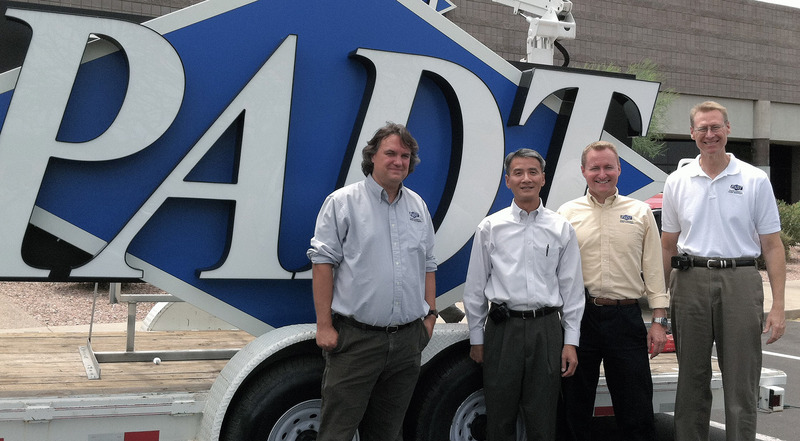 PADT's worldwide reputation for technical excellence and experienced staff is based on its proven record of building long-term win-win partnerships with vendors and customers. Since its establishment in 1994, companies have relied on PADT because "We Make Innovation Work." 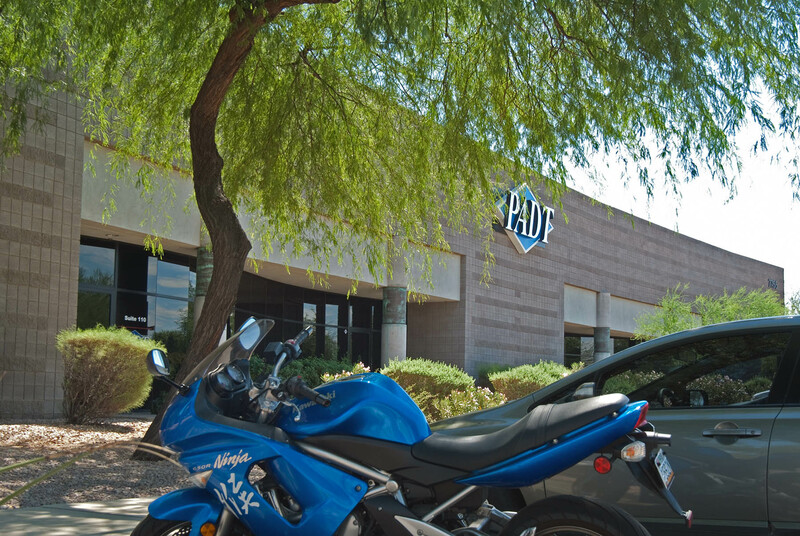 With over 90 employees, PADT services customers from its headquarters at the Arizona State University Research Park in Tempe, Arizona, and from offices in Torrance, California, Littleton, Colorado, Albuquerque, New Mexico, Austin, Texas, and Murray, Utah, as well as through staff members located around the country. More information on PADT can be found at www.PADTINC.com.